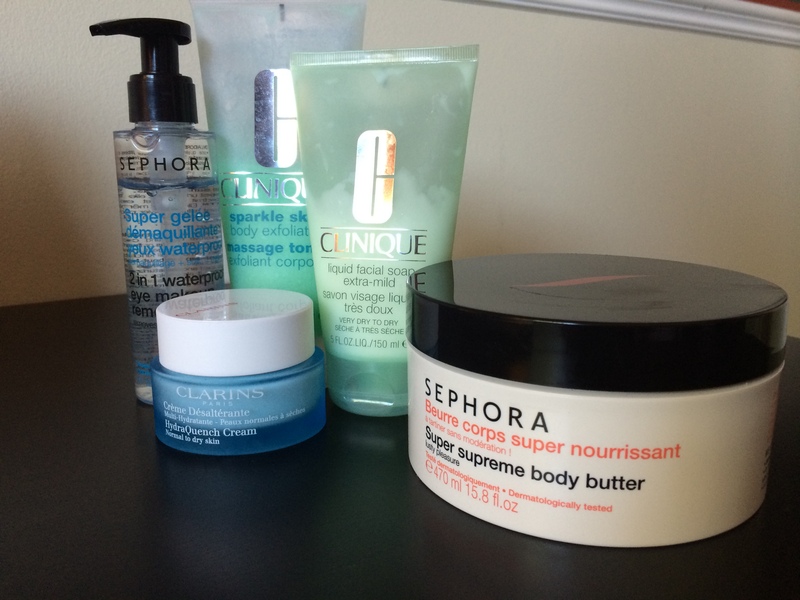 As I promised in the last post, I was going to talk to you about my skin care routine that I do on the daily. Your make up is only as good as the skin underneath it – I am a firm believer in that! I have super dry skin as I have eczema, but with the TLC that my skin needs, it is always soft and hydrated as it needs to be! Here is a photo of all the products I use to achieve my skin’s hydration and softness (facial and body). 1. 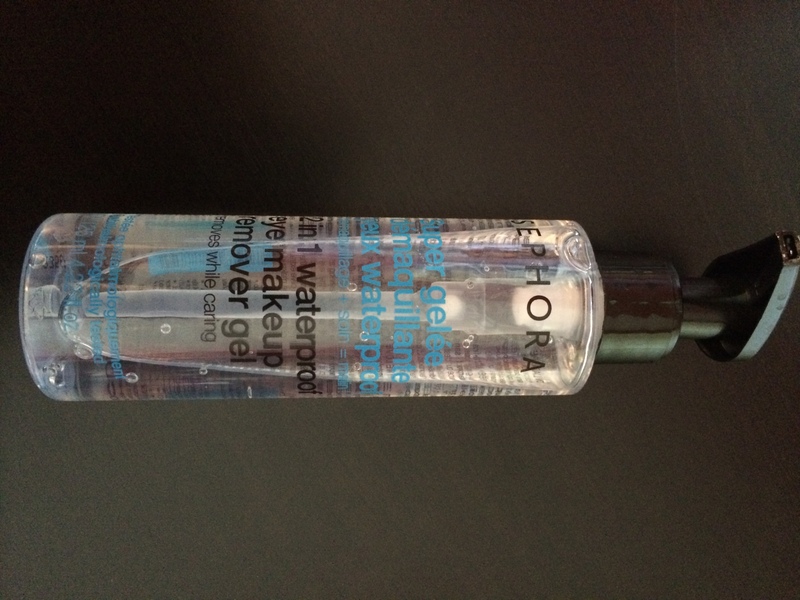 If I’m doing my routine at night, I use Sephora’s 2 in 1 Waterproof Eye Make up Removal Gel. This is some of the best make up removal I’ve ever used and I use it to remove make up on the skin of my face, not just my eyes. If you wear contact lenses, this product will work perfectly. One thing I love about this gel is that it doesn’t leave any weird feeling residue on your face. Your skin is left soft and hydrated! 2. 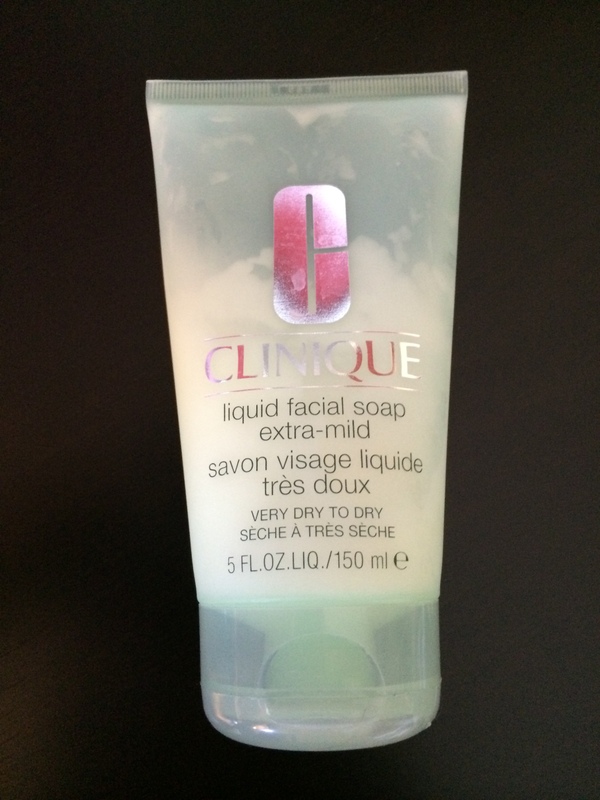 I use Clinique’s Liquid Facial Soap in Extra-Mild for Very Dry to Dry skin. For those of you not familiar with Clinique’s lines, they have “Steps” for each skin type. Usually it is 3 main products. I don’t find I need to use them all, so I just bought the face wash. A great thing about this wash is that it doesn’t foam but it leaves my skin feeling extremely soft and clean. 3. 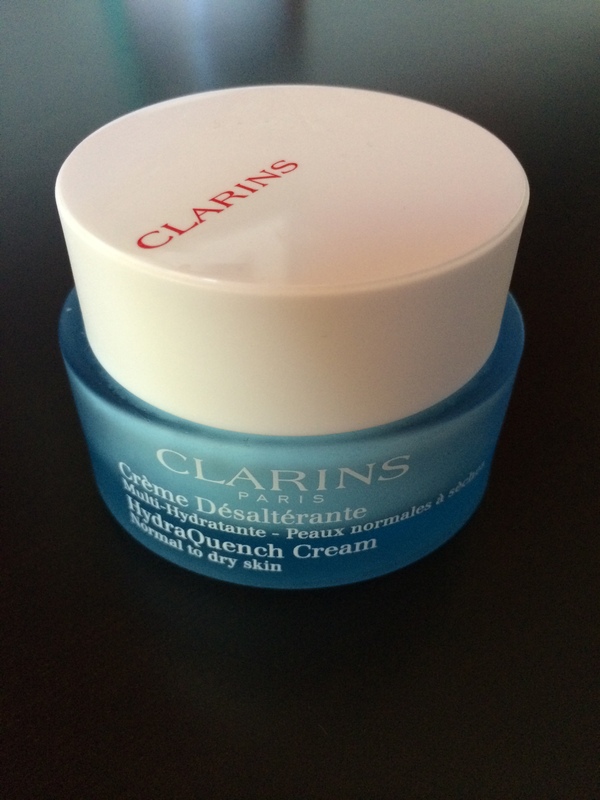 I then follow up with Clarins HydraQuench Serum (Not pictured. Finished the bottle and tossed it before I realized I should have saved it for this post) and HydraQuench Cream for Normal to Dry Skin. These are two of the best hydrating products I have ever used. I don’t think I will ever go back to the products I was using. The serum is an oil-based product but it does not leave an icky oily feeling on your face. Your skin is left extremely soft with added hydration on top of the moisturizer. When the serum is used in conjunction with the moisturizer, your skin is left flake-free the whole day. Make up is extremely easy to go on if you don’t use a primer. When a primer is used, it looks the exact same. After this, your canvas will be perfectly set for whatever you choose to do to it! 1. 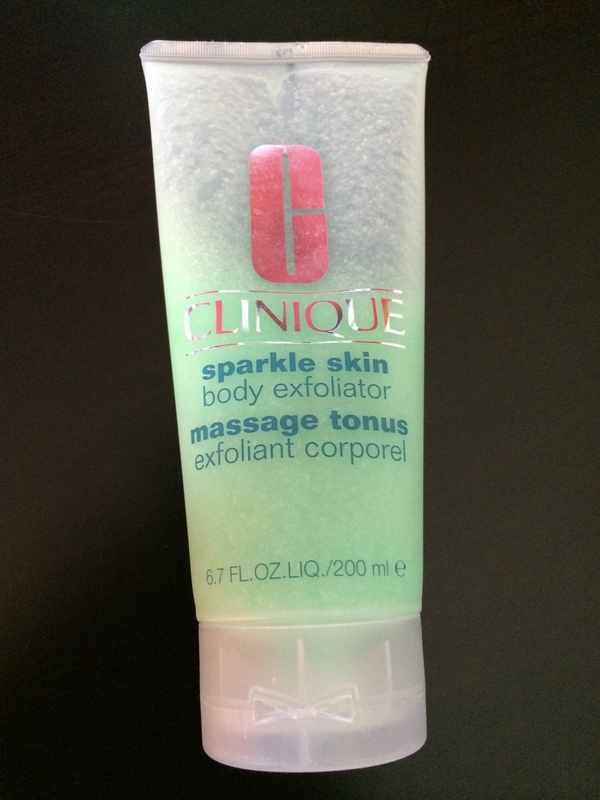 Clinique’s Sparkle Skin Body Exfoliator. It works great! I have actually just ordered Frank’s Body, so once I get that, I will compare the two and write a comparison post to let you guys know which one I recommend. Before this exfoliator, I didn’t use one. I didn’t realize just how amazing your skin could get using this once-twice a week. 2. 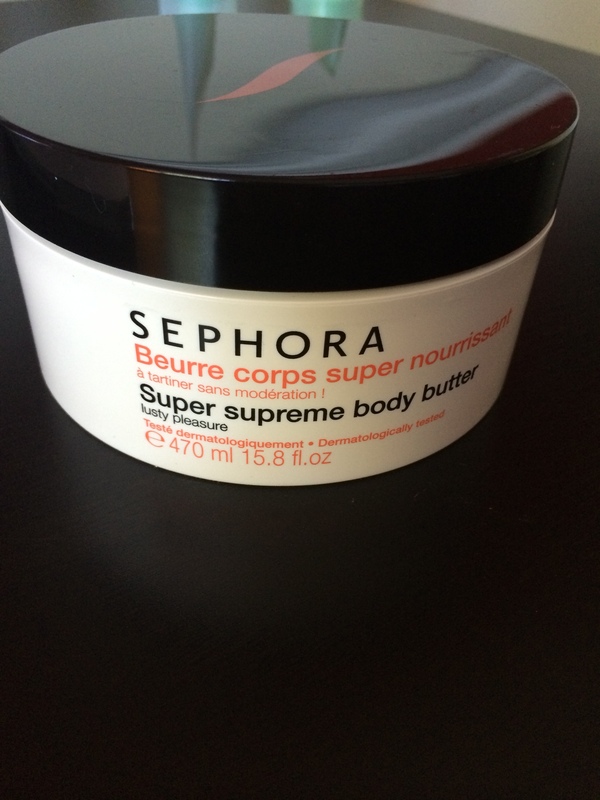 After my shower, I follow up with Sephora’s Super Supreme Body Butter. I cannot express how amazing this body butter smells and how great it works! My eczema-ridden skin has NEVER been as soft as it is right now. There are zero parabens in this. Made with shea butter (always a plus!) and you’re never left feeling sticky. You never need to worry about re-applying throughout the day. I apply this before bed though, just because my skin feels super amazing and smells great, too. So there you have it! This is my skin care routine. Do you have anything you do to keep your skin feeling amazing and healthy? Tell me below! Previous Post Days Off Look. out about this topic. You understand a whole lot its almost tough to argue with you (not that I personally will need to…HaHa). I agree with the idea that skincare is so important! Esp as we start getting older – I’m obsessed with keeping my skin wrinkle-free. I started using anti-aging face and eye products when I was about 23. Prevention is key! So much easier to prevent damage than it is to undo it!